During requirements gathering and solution design, one of the most common techniques used to create a shared vision is modeling. Over the years, many tools and techniques have emerged for modeling in different fields that take in to account the various complexities of the solutions involved; however, one drawback that most share in common is the need to understand a modeling language (or notation technique) to create or even read and understand the models. The agile management movement has turned its attention to modeling in an effort to streamline the process and to more efficiently deliver needed stakeholder value during the modeling process. 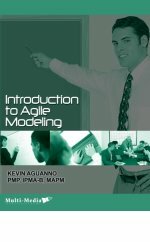 The result is a practice called agile modeling that focuses on creating models tailored to the specific information needs of their consumers, using language and techniques shared by both creator and consumer, and employing collaborative modeling strategies. In this short recording of a teleseminar, learn the underlying principles of agile modeling, some practical techniques that are used, and how you can get started today.